These will be in stock soon . Meanwhile please email me on sales@aubergine-designs.co.uk if you need to place an order. 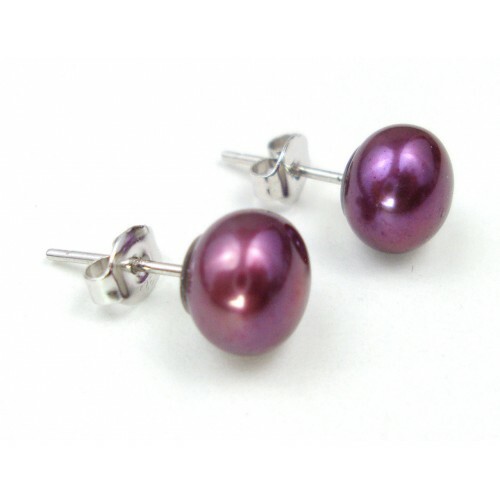 Very pretty dark red/ berry coloured 8mm freshwater studs with Sterling Silver fittings. The colour varies a little from pair to pair.